Two Automated Passenger Clearance Passenger (APCP) at Honk Kong Airport. After close to four years of preparatory work, Rwanda's Directorate of Immigration and Emigration on Friday launched a new system of automatic passenger clearance for arriving nationals at the Kigali International Airport. While the air traffic in Rwanda will grow of 50% in 2012, the governement has just installed Two Automated Passenger Clearance Passenger. The system will accelerate passenger clearance and reduce queues on arrival at the airport. The Directorate General of Immigration and Emigration, announced the last week, that two ultra modern gates have been installed at the Kigali Airport, in the arrival hall. They are in testing phase now, for about 3 weeks. 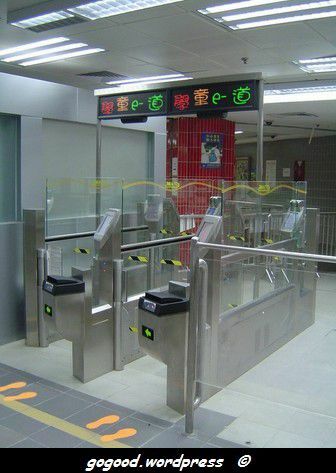 They will be used to clear arriving passengers automatically without passing through the normal immigration booths. Nationals will have their passports scanned to open the first gate, while the second opens by use of finger print recognition. With the arrival of the gates, it will take only 12 seconds to clear a passenger, while it takes between 40-60 seconds for the normal procedures, according to the Immigration IT Engineer Eric Byukusenge. Holders of Rwanda Passports or Laissez-Passer arriving at the airport are encouraged to do trial runs as part of testing because it will help in finalising the system. The trial run will take about 3 minutes. In 2009, the Rwandan Immigration Department scooped the prestigious African Association for Public Administration and Management (AAPAM) award. Rwanda shows clearlry that it wants to become an ICT hub, in Africa.